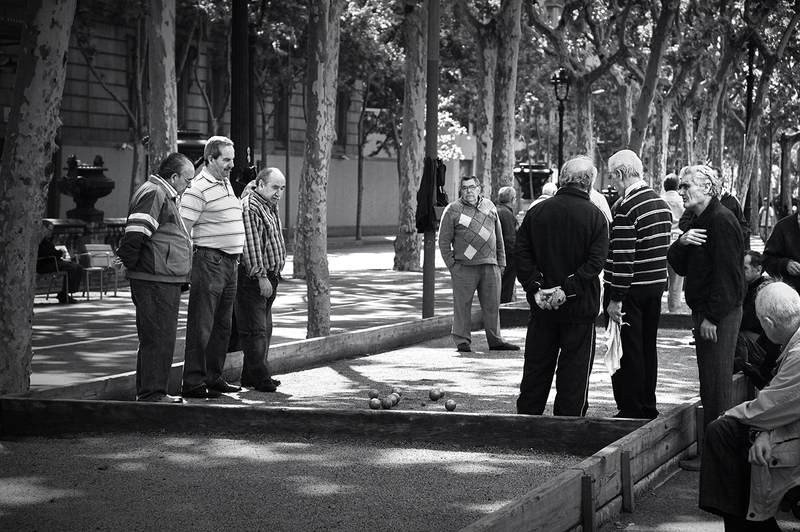 Here are some old men, retirees perhaps, playing petanca in Passeig de Lluis Companys, next to famous Arc de Triomf. This as you know is quite common in Catalonia and I have covered it in a previous post. I like the fact they are standing in groups and they are quite concentrated in the strategy of the game. Yes they are all looking very serious - it must be an important match .. While becoming older I start noting how handsome and beautiful old people are. Thank you for reminding. Guess they are able to invent life anew, hopefully enjoyed playing this game. A nice Sunday for you.